http://www.paracletepress.com/david-lewis-crosby-c.html David Lewis Crosby David Lewis Crosby was an award-winning composer of orchestral and choral works for the concert stage as well as ballet and theatrical performances. He composed and recorded over 100 scores for films and national television and radio series and programs, several of which have received distinguished awards. Crosby's background in church music began in New York's Cathedral Church of St. John the Divine where he was a professional boy soprano from 1956-1960. Included in his repertoire were many of the first American performances of the choral works of Benjamin Britten, including his opera "Noye's Fludde." 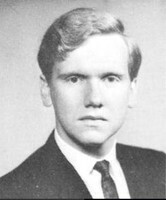 Following private organ instruction from Norman Hollett and Alec Wyton, Crosby continued his studies at the Oberlin Conservatory of Music where he received a Bachelor of Music Degree in Organ Performance in 1968. During his time at Oberlin he became Music Director of a light opera company and served a four-year apprenticeship in orchestral conducting with Otto-Werner Mueller before receiving a Master of Music Degree. Crosby also worked with distinguished composers such as Robert Shaw and Robert Fountain. Mr. Crosby served as Artistic Director and Conductor of the Wisconsin Chamber Orchestra, The Festival Choir, a professional chamber choir, and New York's Gloriana Opera, a national touring company, and conducted over 200 concerts and recordings for television, radio, film and record. He was a frequent guest conductor for symphonic, choral, operatic, and ballet performances in the United States and abroad and conducted concert tours of Europe, Scandinavian countries and Japan with The Festival Choir, and concert tours of the American Northeast, Midwest and Southwest with Gloriana Opera and Wisconsin Chamber Orchestra. Mr. Crosby died unexpectedly just before a concert that he was to conduct in 1998. A scholarship in his name has been established. His death has been referred to as "a great loss" for the musical world and in particular for the Wisconsin Chamber Orchestra. Thanks to Ingrid Rothe for sending this wonderful testimonial to a great person. I did not know David very well personally, but I do remember how gifted he was as a conductor in his student days. In particular, I remember being in the chorus of a production of the Mikado, I think during our sophomore or junior year. During one performance, John Ostendorf was playing the the role of the Mikado and altered some of the lyrics of the song “a more humane Mikado” to make fun of David and the pit orchestra. In playful retaliation, David held onto the last note of the song until John nearly ran out of breath. Those of us in the chorus were prostrate before the Mikado, but our bodies were shaking with suppressed laughter. Sadly in my view, Gilbert and Sullivan has fallen victim to the rule of political correctness at Oberlin. As a native of Madison, I frequently have returned in the summer to visit family and friends. A highlight has been a weekly concert series,"Concerts on the Square." David's Wiscosin Chamber Orchestra performed (and I believe still performs) each week. Thousands of community members pack the grounds around the beautiful state capitol (unfortunately now occupied by Scott Walker). Whenever his name was mentioned, I was proud to say that he was an Oberlin classmate. He was dearly loved by many in Madison and his early passing was a great loss for the musical community. admit that he was a great teacher, even as an Oberlin undergraduate. He shared with me his passion and his learning as we worked on many projects together. I have quoted him over the years and miss him greatly.